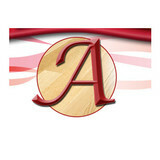 *Authorized Armstrong Dealer* Nobody knows flooring like we do. Why should you shop at a flooring specialty store versus a general-purpose, big-box hardware store that sells everything? Because we know flooring best. We're the flooring experts, from our wide selection, to design advice, to planning, to professional reliable installation. We will be here for you before, during and after the sale. When you visit our store you will be treated to the best quality customer service available. Our staff is up to date on all the hottest flooring design trends to help you achieve your dream floor covering solution. At The HardWood Outlet , we’re all about supplying our customers with the perfect floor for their home or business, at a price they are happy to pay. Adamson Flooring showcase a huge selection of top brand manufactures including Shaw Hard Surfaces, Chelsea Plank, Lauzon, Preverco, Navarre, Superior, Vintage, Satin Finish, Kahrs, Preverco and Wickham. We also offer a complete range of floor and wall tiles including ceramic, porcelain, marble, limestone, tumbled marble and glass. Lastly, we showcase the newest styles and fashions available from today’s leading manufacturers. Whether you are renovating a basement or are looking for a custom designed area rug we have the product for you. From shags to wool loops our showroom has the colour and style to suite every need. Image Floor Coverings Ltd is an Ontario, Canada based company specializing in the supply and installation of hardwood floors, ceramic tiles, carpets, kitchen counters, molding, staircases and fire places. Over the years, Image has developed and built a loyal customer base by proving the best possible products, prices and services. Most of our customers come through referrals and 'word of mouth'. We also have a large number of repeat customers. Image Floor Coverings' objective is to provide superior quality materials at a competitive prices as well as excellent services such as floor, kitchen and molding design and hardwood, kitchen and molding installations. Image due to its large volume can pass on the savings to the customers. Please check out our product offerings and call us toll free or visit one of three locations in the Greater Toronto Area. Let Image Floor Coverings do it for you! Igor Pajdlhauser (Pie•del•howser) is a tradesman with over 15 years of experience specializing in hardwood floors, trim, custom stairs, railings, and nosings. His clientele ranges from heritage repairs and restorations through suburban developments to custom luxury homes. An impeccable record for quality and fast installation guarantees a satisfied customer and floors that stand the test of time. We specialize in epoxy floors for both commercial and residential. Get epoxy flooring no matter the size of your garage! Polished concrete and glue removal is also available. Tielemans Fine Flooring is a family-owned business that has been providing award-winning service to retail customers in the Milton area for 40 years. At Tielemans, not only do we offer a wide selection of quality, brand name floor covering products, we also carry a wide variety of window blinds and shutters as well as quartz and corian countertops. We have knowledgeable staff that will assist you in selecting from a wide range of flooring options to transform your house into the beautiful home you have always wanted. We stand out from our competitors when it comes to the quality and workmanship provided by our experienced and highly qualified service team. When you visit our newly renovated showroom, you will be greeted by friendly, knowledgeable staff who will work with you in determining your decorating needs and offer you a solution that’s best suited to your project and budget. We offer superb workmanship and fully-guaranteed installation by expert installers – specializing in new home, residential renovations and commercial projects. And most importantly...we pride ourselves in building long-term relationships with our customers, many of whom have returned numerous times through the years for their home-improvement needs. 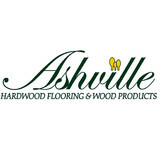 Retail & Distribution of solid hardwood, engineered hardwood, laminate flooring, stair parts and mouldings. Provide professional installation services of flooring and staircase. Stevens Omni is a leading distributor of world class floor covering products across Canada. We market & sell flooring of high quality & exceptional design. We service our clients with a team of experts from coast to coast. Our product lines cover the complete spectrum of floor covering categories including but not limited to; area rugs, broadloom, ceramic, hardwood, laminate, and vinyl in both residential and commercial programs. Texturock offers unique flooring and coatings for interior and exterior projects. We provide natural stone and rubber alternatives to concrete outdoors, coatings for existing concrete around pools, patios, garages and more. Indoors our cast-in-place, flood proof flooring is great for basements, foyers, and every other area in the home! Tamber flooring is a family owned flooring company, offering a wide range of top quality hardwood and laminate floors for your home and lifestyle. Proudly serving our residential and commercial customers in the Greater Toronto Area (Oakville, Burlington, Hamilton, Mississauga, & Brampton). We have been in business for over 6 years and have come a long way from their small showroom in Brampton, to their large and elegant showroom in Oakville. They are focused on bringing high quality products, for the best value to their respected customers. J.L.Vivash Custom Wood Floors Ltd. Custom Wood Flooring Craftsman. With our high level of training and experience we offer the latest and most innovative techniques and products available in the world. Through creativity and a dedication to excellence we delivery incredible floors. The well respected St. Catharines company, Ireland Decorators, which has been in business in the Niagara region since 1954, has changed its strategic business plan, by focusing entirely on in your home service rather than a storefront retail outlet. Barry Ireland, owner of Ireland Decorators, is regularly asked how the strategy is working and he gives an enthusiastic reply: 'the changes have been fantastic! I can now deal with each of my customers personally.' Customers are delighted when they call Ireland Decorators and find they are speaking directly with Barry. His expertise in refinishing wood floors to painting and decorating gives customers the satisfying sense that they are speaking with someone they can trust. Being freed from the unnecessary overhead expenses of a storefront has also allowed Ireland Decorators to become even more aggressive with pricing. Customers are certainly pleased when they find they can receive top notch decorating at an incredibly affordable price. Ireland Decorators innovative approach is a great example of a Niagara business that has maintained the formula for continued success.